The Olympics are almost here, and if you don’t have the fever yet, you’ll be feeling the symptoms soon thanks to some of our favorite fashion designers. Karl Lagerfeld, for example, is hosting a womenswear pop-up store in London which will showcase an Olympic-themed collection of apparel and accessories. 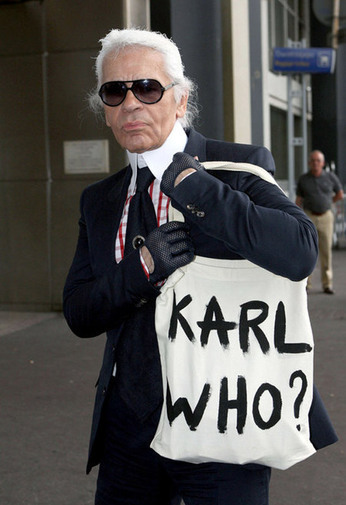 The collection is quite appropriately named Team Karl (we would so want him on our Olympic team! ), and the range will feature his recent collaboration with London-based company I Love Dust – a selection of limited edition T-shirts. For those of us who normally wouldn’t be caught dead in sneakers and sweatpants, the Olympics might finally inspire us, and Opening Ceremony‘s Olympics-inspired collaboration with Adidas will surely remedy the lack of style associated with a typical track suit. “I think it’s great that customers who, traditionally, have little interest in sportswear can get excited about it this summer,” Selfridges’ buying manager Gary Edgley told Vogue UK. The patriotic and colorful collection will launch this July 19th in Covent Garden – get your floral-printed trainers and Lycra suits while they’re hot! 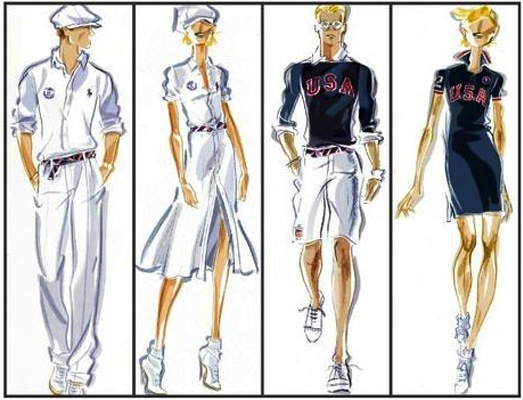 Ralph Lauren, a classic symbol of American fashion, is designing the Closing Ceremony outfits, as well as TEAM USA’s casual wear for the Olympic Village. We’re seeing knee-length, white pleated skirts for women and crisp white pants for the guys. 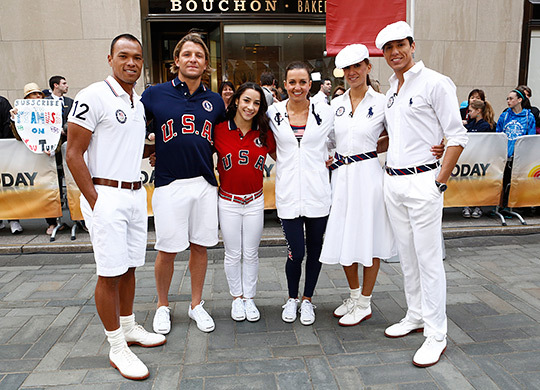 Both men and women have matching red, white and blue beret and the traditional white Polo horse logo stitched into the left side of their navy blazers. The athletes who participate in Opening Ceremonies will sport this look for the event on July 28. So are you feeling your temperature rise yet? 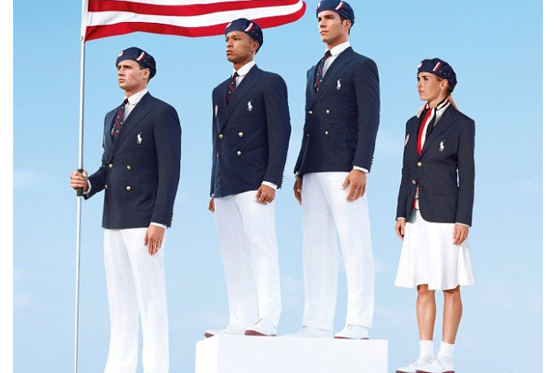 We can’t wait to see who else hops on the Olympic fashion bandwagon. Be sure to check back for updates!